Fast setting, extra strong adhesive. Suitable for all types of wood. Dries to a clear finish. Exterior adhesive is weatherproof and complies with EN204 type D3. 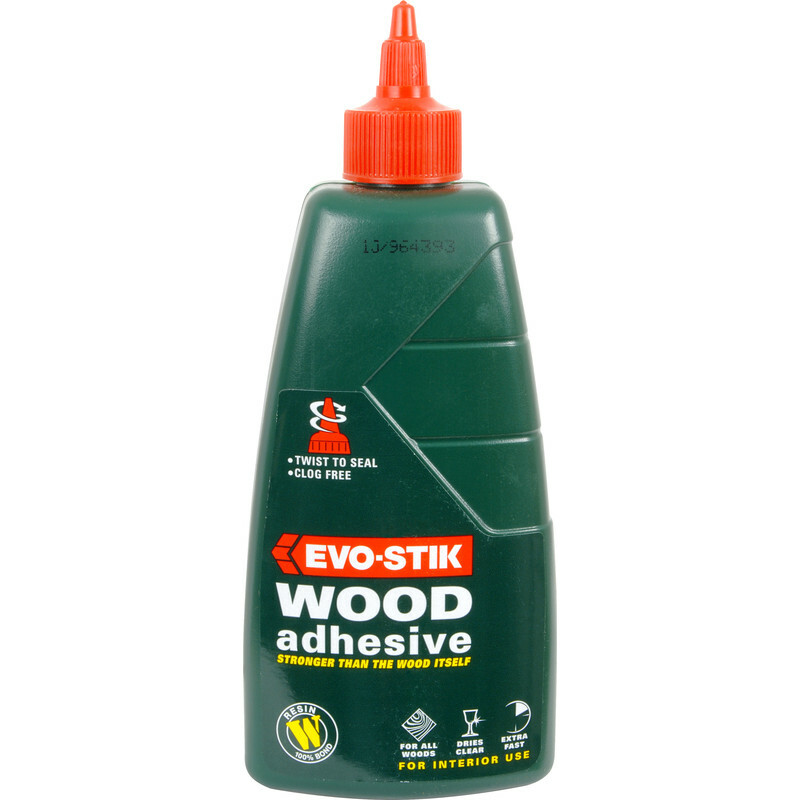 Evo-Stik Interior Resin W Wood Adhesive 1L is rated 4.7 out of 5 by 11. Rated 4 out of 5 by Axcell21 from A perfectly good wood adhesive I needed an interior wood glue, and this is just the job. No complaints at all, and the only reason it isn't a 5 star review is that I haven't had much else to compare it too. Rated 5 out of 5 by rojo from Always reliable Have used EvoStik Wood glues for many years. Always reliable. Rated 5 out of 5 by Tickbox from Works as description on label As always, excellent and quick delivery. Evostick is a reliable make; large size bottle. Rated 5 out of 5 by Clemaux from Unbeatable When it comes to glue, despite all the other fancy claims of all other fancy tlrivals, there is nothing better than the tried and tested (over centuries) PVA glue! Why Ebostik don't call it what is is (PVA glue) Iis a mystery to me!!! Rated 5 out of 5 by bluearcher from Still the best wood glue Have been a fan of this wood glue for years and it is still the most cost-effective, reliable, quality product I have found for the job. Rated 5 out of 5 by Rob 75 from Well proven Adhesive I have used evo-stik wood glue for more years than I can remember and have always found their products reliable.